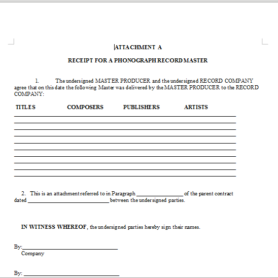 Description: A Copyright Assignment from a Publisher to a Songwriter is an agreement that is used when a publisher is reverting copyright, and ownership in the work product back to the songwriter. 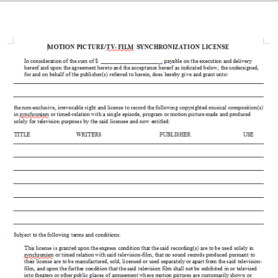 This document in its draft form contains numerous of the standard clauses commonly used in these types of agreements, as well as optional language to allow for customization to ensure the specific terms of the parties’ agreement are addressed. 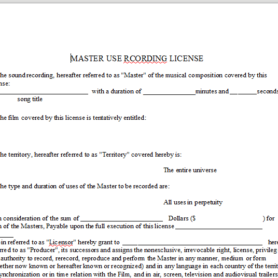 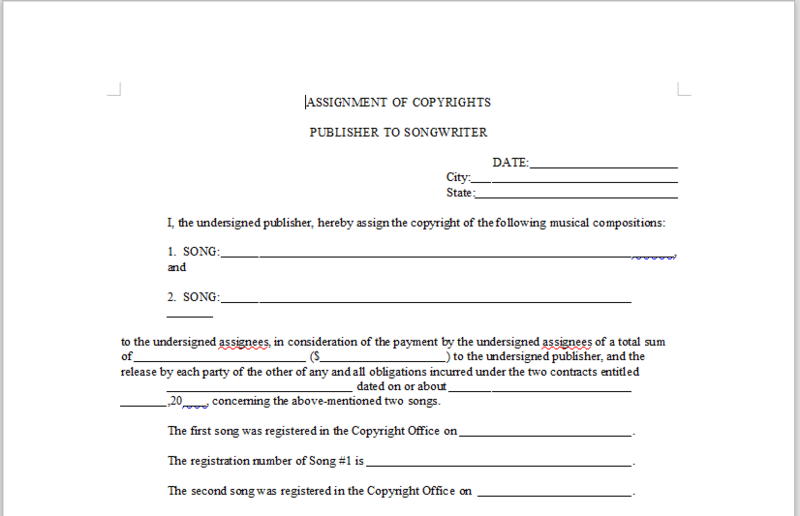 This form is most useful for publishers who want to revert copyright ownership in a song back to the songwriter.